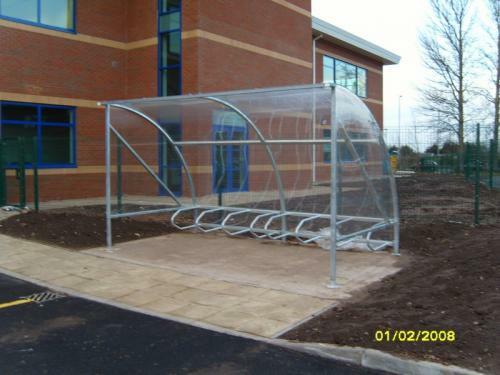 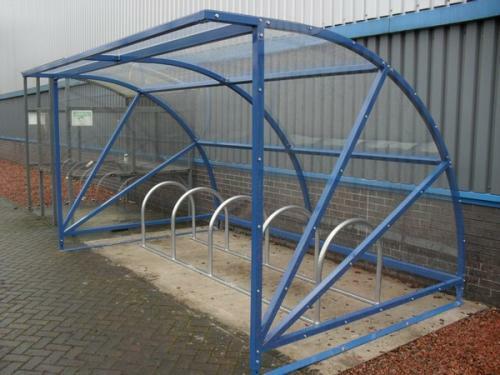 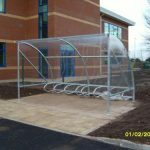 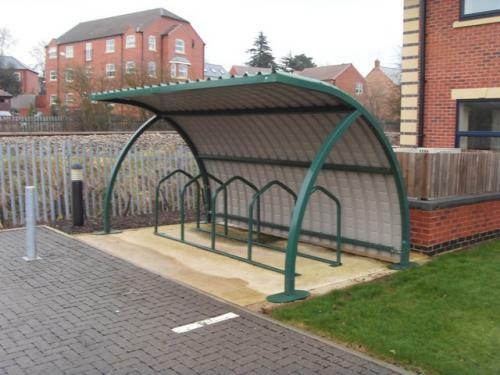 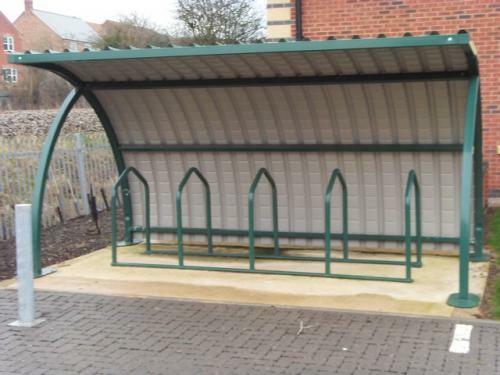 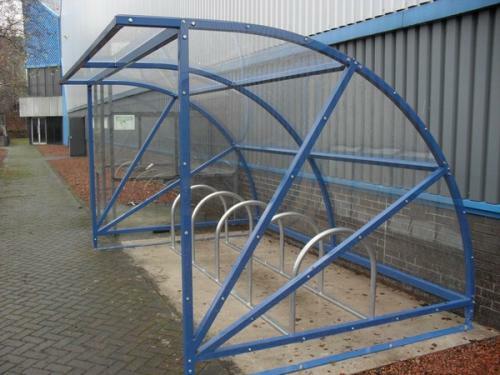 All Shelters now manufacture specialist bike storage shelters, we are proud to unveil the latest addition to our high quality smoking shelters The Cycle Shelter. 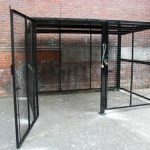 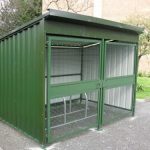 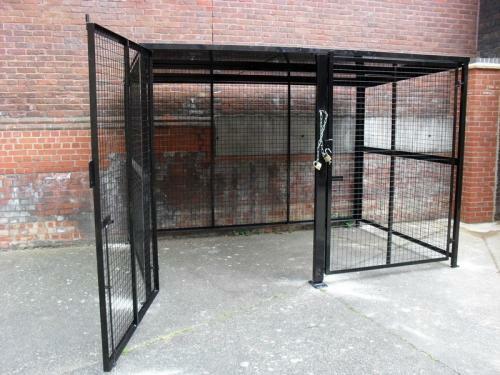 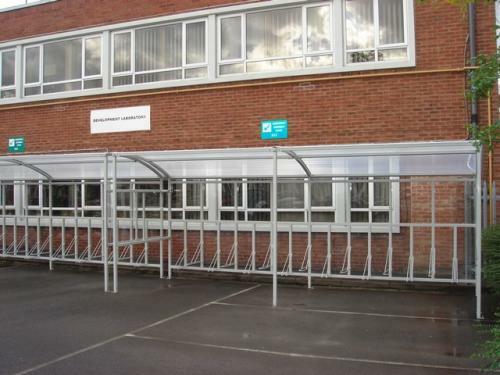 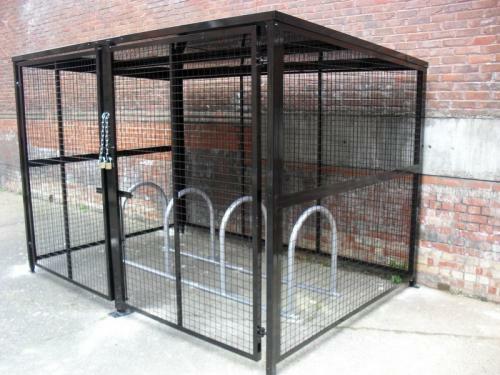 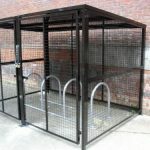 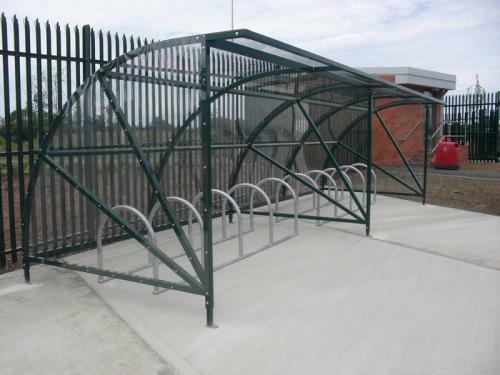 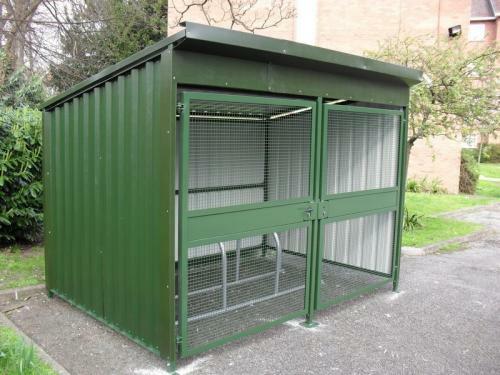 This modern, steel bike shed can be manufactured in a variety of sizes from 2m x 2m to 2m x 20m and comes with free delivery and installation to any site in the United Kingdom. 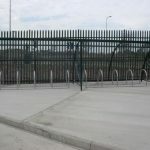 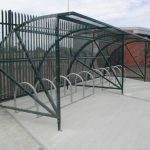 With its revolutionary design from our design team we can offer more cycles in a smaller Space for a considerably lower cost than typical steel bike storage sheds. 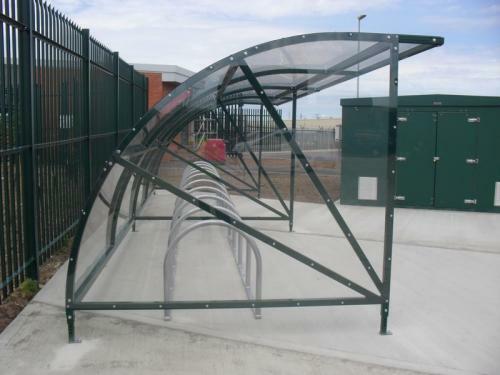 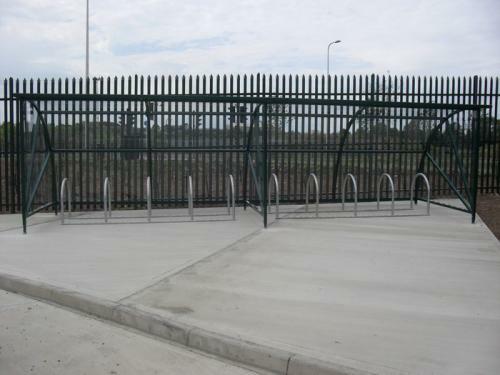 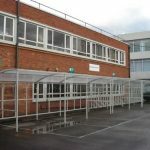 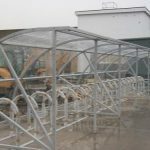 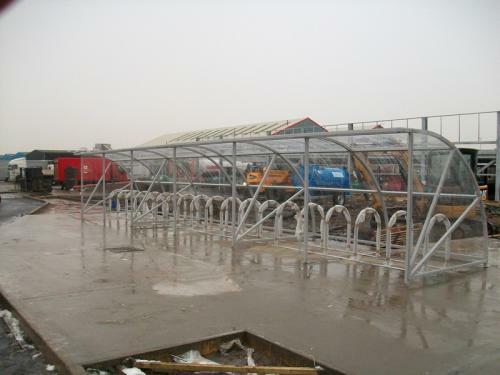 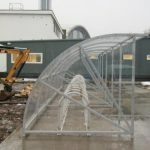 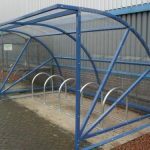 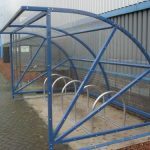 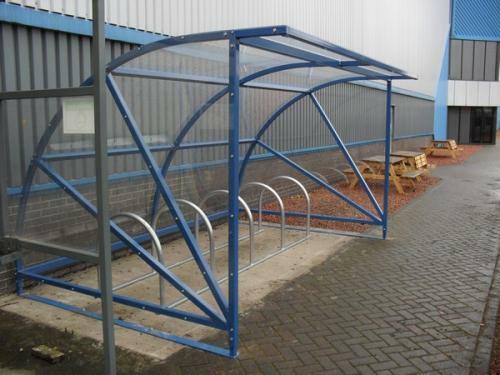 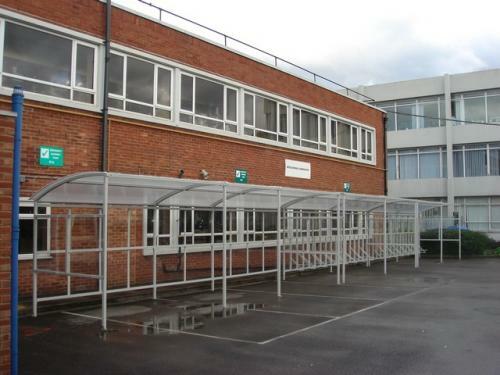 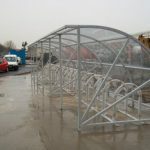 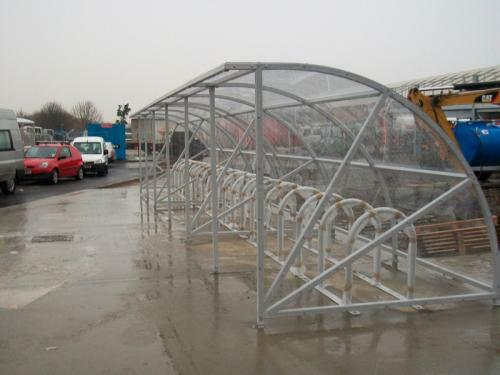 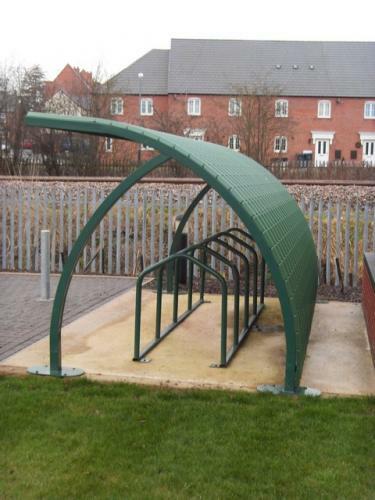 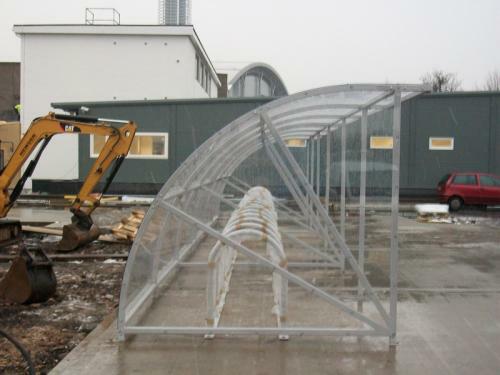 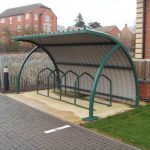 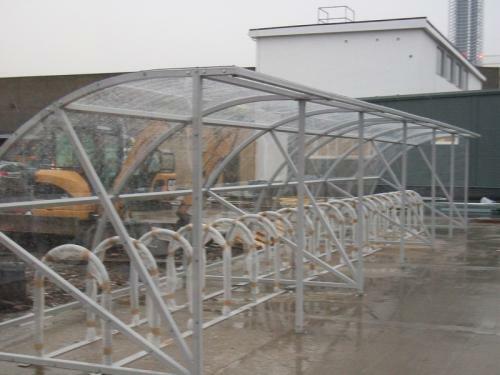 Construction – Our cycle shelters have fully welded end frames, and the shelters are designed to allow more cycles to a smaller space than the average shelter will allow. 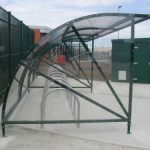 Roof – 6mm thick durable polycarbonate material available in clear or with a UV tint to allow full visibility for security lights and cameras. 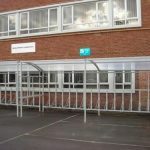 Finish – Polyester powder coated. 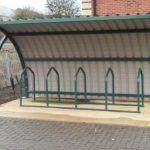 These finishes can be colour matched so there is an unlimited range of colours for your cycle shelter. 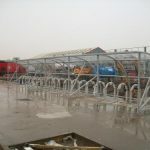 Fixing – base plates with extended legs for submerged fixing in to concrete or solid ground. 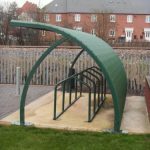 You can call us at 02476 451636 or email us at sales@allshelters.co.uk and a customer service representative will get back to you. 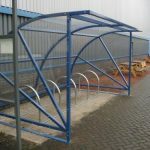 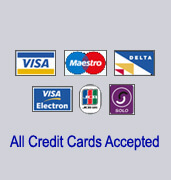 Price Includes Free Delivery and Installation.